Fact: Bay Areans are a book-loving bunch. Fact: People here are huge food fans. So is it any wonder, then, that this neck of the woods has a thriving cookbook club culture? There are differences in how each group operates, but here’s what they all have in common: A desire to share good food and good books about food. Omnivore Books on Food owner Celia Sack has a theory about the resurgent interest in breaking out the cookbook collection and making meals at home. Each of the five cookbook clubs below has its own flavor. You’ll also find advice from a seasoned cookbook club organizer about how to start your own group. Three fixtures of Berkeley’s chi chi shopping strip on 4th Street — Books Inc., Cafe Rouge, and The Pasta Shop — have joined forces to create a monthly meet up mixing food, wine, and conversation. 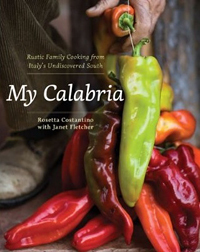 The club kicks off this Tuesday at 6 p.m. at Cafe Rouge with Rosetta Costantino’s cookbook My Calabria: Rustic Family Cooking From Italy’s Undiscovered South. (Read an earlier BAB post on My Calabria.) Subsequent events will be held on the fourth Tuesday of the month, rotating through the three locations. Costantino will read and share recipes, including stuffed pizza with chard and dill, salt baked sea bass, and cauliflower salad, all paired with Southern Italian vino. Books will be on sale, dishes and drinks sampled, ingredients made available, and discussion will no doubt follow. The event costs $20; admission prices may vary some for each program, depending on what food and wine is on offer. Up next for the Cooks’ Book Club: Gordon Edgar, author of Cheesemonger: My Life on the Wedge, on February 22 at The Pasta Shop, followed by dessert diva Alice Medrich, author of the Chewy, Gooey, Crispy, Crunchy, Melt-In-Your-Mouth Cookies on March 22 at Cafe Rouge. 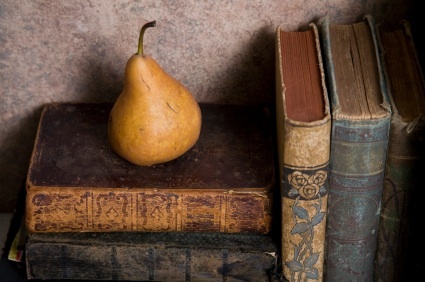 Heather Knape decided to convene a Food Lit Club at 18 Reasons just over a year ago when someone at her regular book group suggested she might want to pick some non-food books for the group to read. The life-long food and farm lover, who blogs about feeding her family at eating dirt, realized she needed a different club to dish about all things edible. Members make a three-month commitment to the club, after which you can decide whether you want to continue or choose to give up your coveted spot to a newcomer. Books can be bought from Omnivore Books (20 percent of profits go to fund the work of the nonprofit food group 18 Reasons) or you can bring your own. The group gathers on the third Sunday of the month from 4 p.m. to 6 p.m. at 18 Reasons. It’s a B.Y.O. nibbles kind of deal, typically a rotating snack roster or potluck affair. Each quarter the group reads something old, something new, and something local, so authors can come too. This month the group discussed Home Cooking by Laurie Colwin. 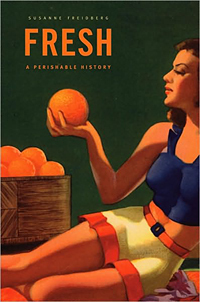 February’s pick is Fresh by Susanne Friedberg, followed in March by An Extravagant Hunger: The Passionate Years of M.F.K. Fisher by Anne Zimmerman, who will put in an appearance. Previous picks include Cheesemonger, The Righteous Porkchop: Finding a Life and Good Food Beyond Factory Farms by Nicolette Hahn Niman and Four Fish: The Future of the Last Wild Food by Paul Greenberg. Knape moderates the meet ups and sends out discussion questions in advance. The high-end kitchen store Williams-Sonoma’s cookbook club offers cooking classes by in-house chefs showcasing recipes in a cookbook featured each month, often one of their own titles. The classes cost $75, and include cooking tips and techniques, a three-course tasting menu, and the cookbook. Reservations are required and space is limited; class times vary by store location. 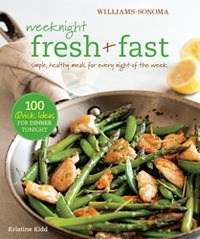 Last month the store featured Mad Hungry: Feeding Men and Boys by Lucinda Scala Quinn, next up is the Williams-Sonoma Weeknight Fresh + Fast by Kristine Kidd, the former food editor of Bon Appetit, followed in March by Williams-Sonoma Good Food to Share by Sara Kate Gillingham-Ryan, founder of the popular cooking site The Kitchn. 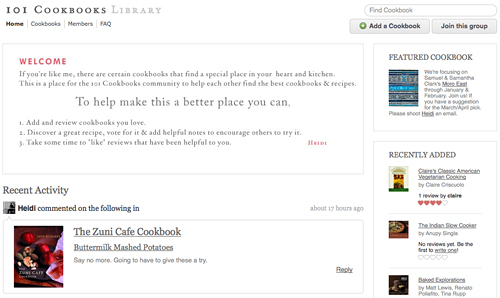 You don’t even have to leave home to connect with other cookbook lovers. 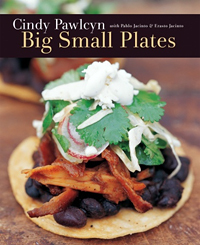 Heidi Swanson’s home-grown food blog 101 Cookbooks recently launched 101 Cookbooks Library, where readers can connect in cyberspace with fellow food aficionados to review cookbooks, highlight their favorite dishes, and offer recipe tweaks based on their own kitchen experience. Started five years ago by Napa Valley Register food columnist Betty Teller, the Cook/Book Club has a pretty impressive professional pedigree, with just a few civilians in the mix. We’re talking cookbook author Janet Fletcher, pastry chef Annie Baker, chefs, foragers, Slow Food folks, wine guys — even a registered dietician who works with The Biggest Loser TV show. The group meets every two months to dine and dish. Everyone picks a recipe from the featured cookbook to make and during the dinner each person describes what they made, and offer their thoughts on the recipe and the book in general. The conversation flows. One hard and fast rule: No recipe tweaking. Tough for veteran chefs. Teller’s group isn’t taking on any new members. She encourages people to start their own. Invite a mix of people who don’t all know each other well to keep things interesting. Include singles and marrieds but think long and hard about couples, which can change group dynamics. Find people equally interested in cooking, and if you’re going to cook too, with fairly similar culinary skills. Seek out folks with similar edible interests — whether omnivores, vegetarians, vegans, gluten-free. Consider size: About 15 is a good number, so if people miss a meeting there’s still a critical mass. Give it time to grow. It can take a few meetings for things to gel and people to commit to coming. Keep track of who hosts, what books are chosen, and create a calendar for the year for planning purposes.